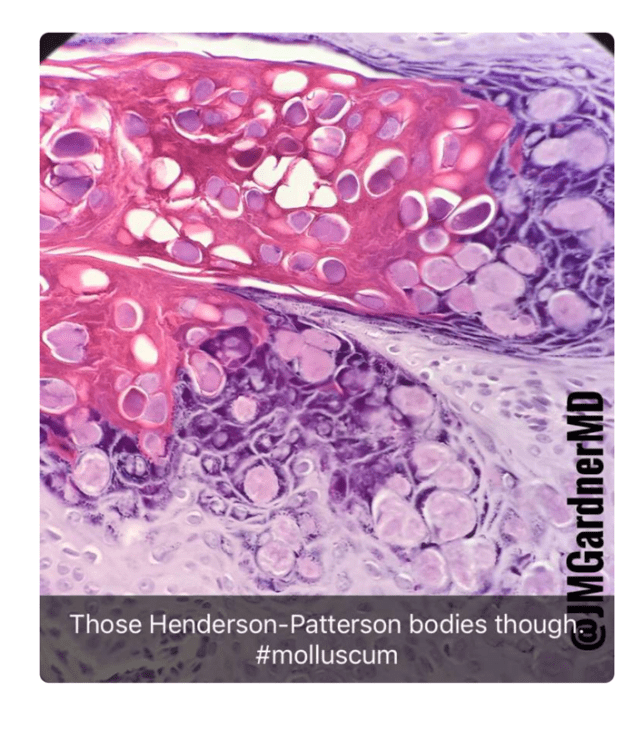 Jerad M. Gardner, M.D., an assistant professor of pathology and dermatology in the College of Medicine, was featured on BuzzFeed for his use of Snapchat in education. 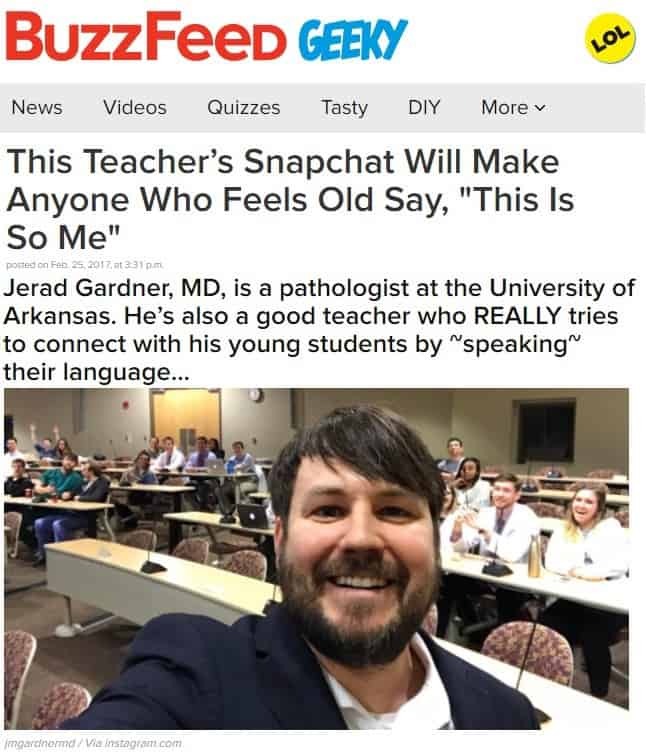 March 14, 2017 | March 14, 2017 | A University of Arkansas for Medical Sciences (UAMS) educator caught the attention recently of BuzzFeed, a global media company, for using Snapchat to engage his medical students. BuzzFeed produces and distributes original news, entertainment and video, reaching a global audience of over 7 billion content views. Jerad M. Gardner, M.D., is an assistant professor of pathology and dermatology in the UAMS College of Medicine. 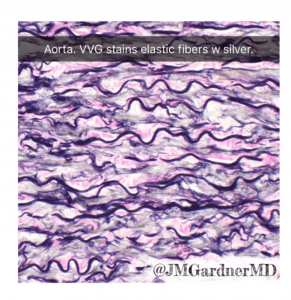 Many of Gardner’s social media posts — like this snap — are pictures of interesting cases at the microscopic level. “He’s also a good teacher who REALLY tries to connect with his young students by speaking their language,” BuzzFeed noted in a Feb. 25 post that featured several colorful pathology slides Gardner had shared. 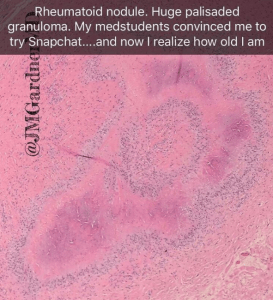 Gardner, also a bone and soft tissue sarcoma pathologist and director of the dermatopathology fellowship program, routinely uses social media – including Facebook, Twitter, Instagram and YouTube – to supplement his courses, work with patients, conduct research and connect with students and professionals interested in medicine from all over the world. He runs social media for several pathology professional organizations and leads trainings for his peers on how social media can improve their impact as educators. Reaction to the BuzzFeed article “filled my Facebook timeline for days,” Gardner said, adding that he welcomes the attention it brings to his field, UAMS and the use of social media in education. Pathologists diagnose cancer and other diseases, typically by examining tissue samples from patients microscopically. Many of Gardner’s social media posts are pictures of interesting cases at the microscopic level, especially in his specialty area of rare bone, soft tissue and skin cancers. He shows students how to diagnose different conditions with photos, links and videos. Gardner also shows students how to diagnose different conditions with photos, links and videos via social media. The BuzzFeed article highlights Gardner’s most recent efforts to expand his use of social media in education to include Snapchat, which is a photo- and video-based mobile app popular with younger audiences. 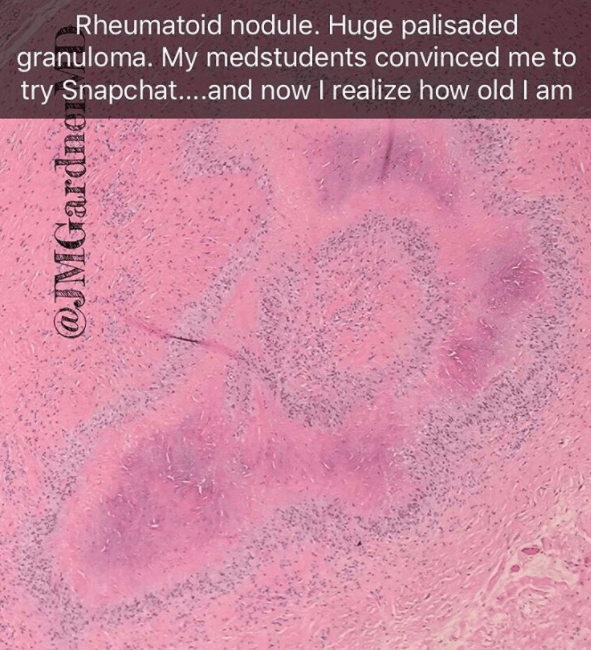 The article, “This Teacher’s Snapchat Will Make Anyone Who Feels Old Say, ‘This Is So Me,’” begins with one of Gardner’s first snaps, in which he makes a joke about feeling old as he adjusts to the new platform, and then shows some of his other snaps of skin biopsies and normal tissues at the cellular level. “It’s a bridge to the younger generation who are going to take over our field one day, and we should have an influence on them and embrace the chance to mentor them,” Gardner said. He started two discussion groups – one on skin pathology, or dermatophathology, and another on bone and soft tissue cancers (sarcomas). They each now have 25,000 and 18,000 members, respectively, including doctors and students from all over the world. Gardner says educators should meet younger audiences where they are — and online, that’s on Snapchat. He volunteers to answer questions in patient support groups, usually helping with things like understanding the language on a pathology report or navigating the medical system from diagnosis to treatment. Gardner said that interacting with patients online has been life changing and he now recommends all medical students do the same. Gardner has used social media to conduct research, surveying academics about how they use social media in education and gathering data from patient groups about treatment outcomes. 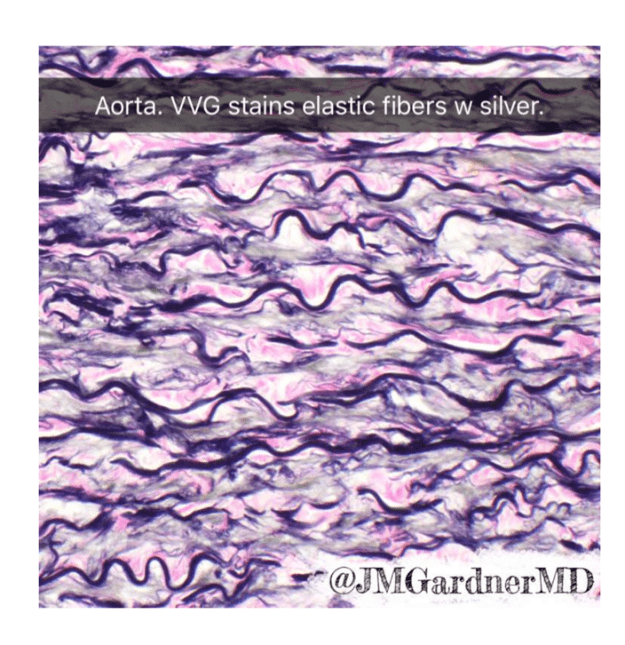 His YouTube channel features instructional videos filmed with pathology slides and recordings of his lectures. Gardner’s social media use has also helped him network and collaborate with other scientists. He has given about 35 invited talks on social media use for professionals in the past three years. “I think social media is here to stay, so it would be better for us to understand how it’s being used and harness that in a way that would be useful educationally,” Gardner said.